No one contests the early influence of Hegel on Marx. Yet, some act as if Hegel was always important for Marx. Furthermore, certain popular renderings even use a simplistic caricature of Hegel, such as the thesis-antithesis-synthesis formulary, and take that to be Marx’s as well, and then attack Marx through the caricature. Meanwhile, the question is infrequently posed whether Hegel’s influence persisted for Marx and if Marx himself, as his work deepened, defended the necessity of Hegel’s philosophy for his political economy. We shall demonstrate, with considerable evidence from Marx himself, of the declining need for Hegelian philosophy in Marx’s evolving understanding of political economy, even apart from Marx’s materialism being an opposite of Hegel’s idealism. One piece of evidence we shall develop is the appreciation by Marx of a book by Nikolai Sieber published in 1871, an appreciation well-known as a simple fact while not noticing that Sieber expressed a clear aversion to Hegel. Actually, it is nothing less than astonishing that Sieber’s discussion of Marx did not appear in any translation until 2001, i.e., 130 years after the fact. With Marx’s reaction as a symptom of the evolving nature of Marx’s own thought, the long-term absence of a translation appears to be a political decision with deep roots in the early intellectual history of Marxism, thus a history of a particular suppression, perhaps partly unconscious. This early history intertwines with major issues in Marxism in the late 19th and early 20th century, leading in this chapter to inclusion of discussion of Plekhanov, Lenin, and Luxemburg. Louis Althusser (1977b, p. 90) argued that Marx was driven “irresistibly to the radical abandonment of every shade of Hegelian influence”. Capital, says Althusser, still included traces of Hegelian influence — in his vocabulary of use-value and value while describing two entirely different things, in a reference to ‘negation of the negation’, and in the theory of fetishism. 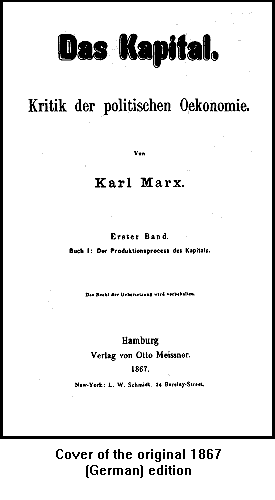 Only in 1875 in his Critique of the Gotha Program and thereafter is Marx’s intellectual process regarding Hegel completed. Althusser has been sharply criticized by some, even for Stalinism. We will not pursue Althusser’s argumentation here. James White (1996) takes a quite different approach by very carefully examining intellectual history. We are referring to his Karl Marx and the Intellectual Origins of Dialectical Materialism. White addresses wide-ranging German and Russian sources in circumstances in which “it is essential to verify everything, wherever possible, with first-hand materials” (p. 19). In our opinion, White’s book is too little known and appreciated. The present author reviewed it positively (Zarembka, 2001), responding to a negative review by Sean Sayer. The journal involved, namely Historical Materialism, gave Sayer space to rebut the support of White’s work, but no space was provided to White as the author of the book, even after a request. We proceed to survey the development of Marx’s own political economy from 1867 onward in order to reach our conclusion, and then turn to the early history after Marx’s death. *Presented at “Political economy and the Outlook for Capitalism”, Joint conference of AHE, IIPPE, and FAPE, July 5-7, 2012, Paris, France.